Welcome to this month's Note Card Party! 2. 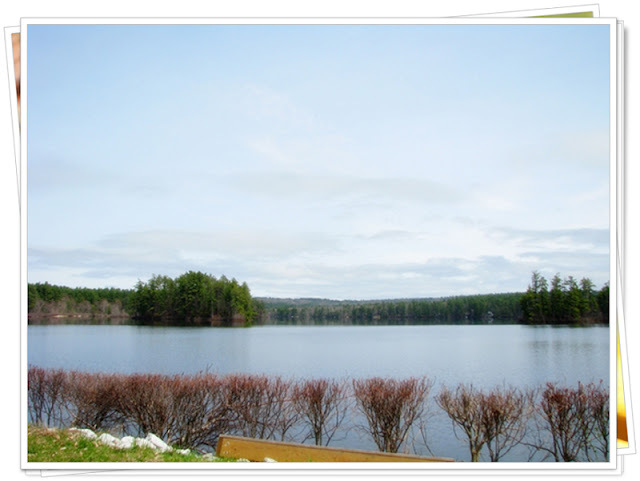 Search for four photographs on your own blog that would make a nice set of note cards. They must have appeared on your blog by the time you link up. 4. Link directly to your post below. It looks like I can reach out and touch the daffodil, Vee. I had the same thoughts while searching for my photos, and was asking myself "what was I going to do for future notecard posts. "lol I hope your snow has left for this season! Thanks for hosting. Yay! Another Note Cards party! 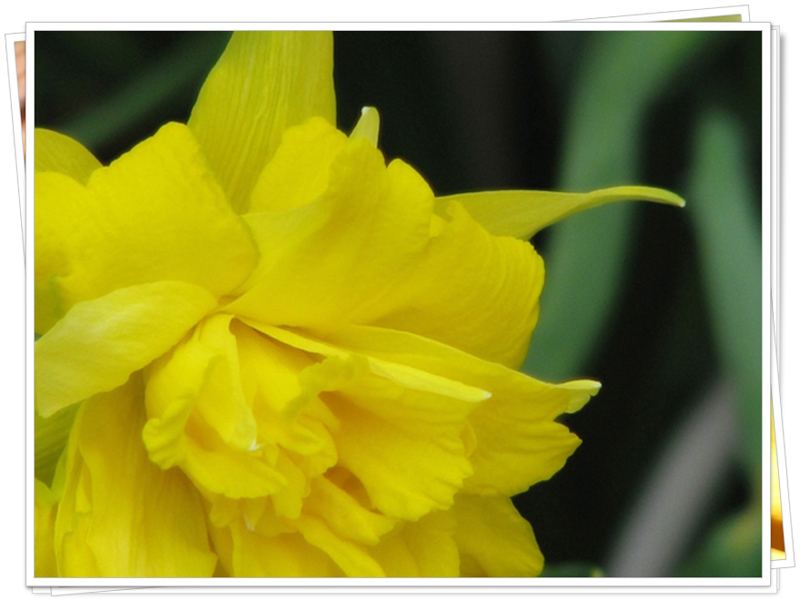 Beautiful daffodil, Vee. Oh I want to join...just got to figure out where my pictures are...I know, I am a little slow! Yes this is fun. I was lucky I got over here today, I was not sure which day to post. Going to visit around now. I know yellow is one of your favorite colors, Vee! 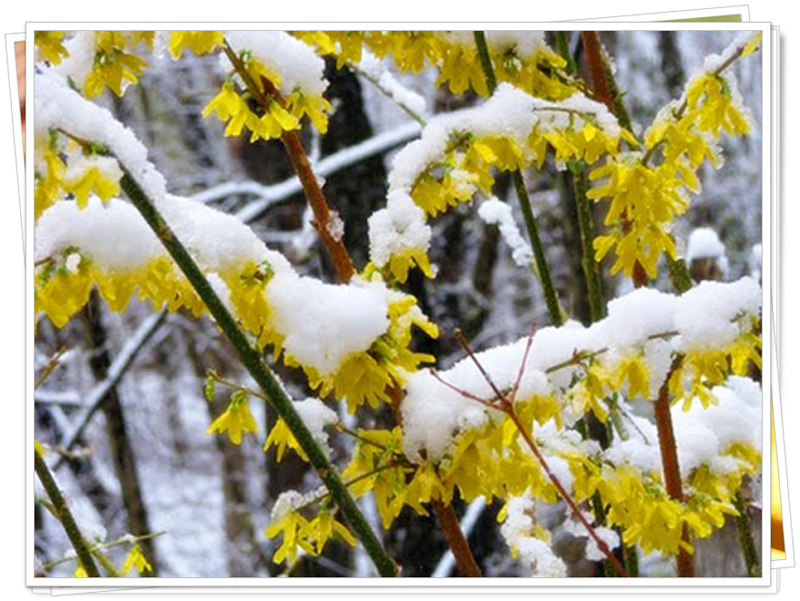 I love your selection of yellow flowers, especially the forsythia in the snow photo -- was that from last year? I think your pictures are gorgeous, Vee! I love the daffodils and the forsythia blossoms in the snow. Photography is a challenge, isn't it? Thanks so much for hosting this fun note card party! Love your yellows! How different April can look from one year to the next! Yellow for spring - good choice. This is truly a fun party and it makes me want to try for better photos...just for you.!! I had a bit of trouble linking up. My number 9 is from last month. 11 or 12 are for this month. I don't know how to delete 9 and 12. Sorry I messed it up. I like your notecards ... Especially the forsythia with snow. Your new header is also very nice ... Good job in P. we'll miss it. Thanks for hosting another fun party. Hi Vee - sorry that I posted the wrong post first. Could you delete the first one, #10, from me as it does not relate to your party. 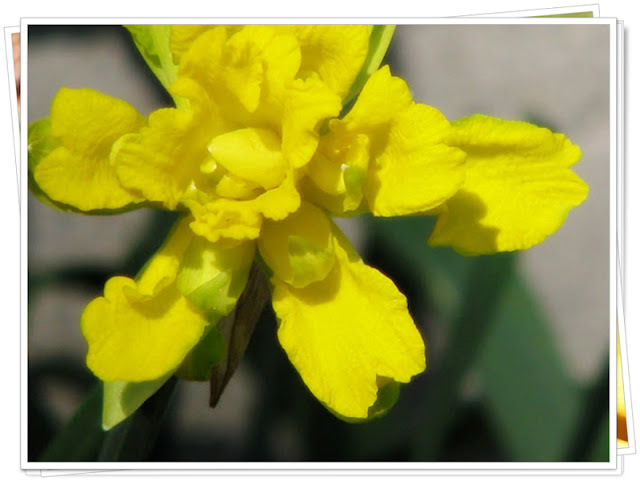 The yellow flowers are so pretty and the notecard feature is really impressive. I was wondering how you achieved that. I can see I need to spend some time getting familiar with Photoscape. I seem to have a problem with entering linky parties twice. I see I'm not the only one who wants to have one (#15) deleted. Or you could leave it as it says I don't exist anyway :). From now on it's copy and paste! Sorry. Wonderful pink party, thanks so much for hosting, Vee! Can't wait to see everyone's posts this month! Stopped by to visit from Pat @ Mille Fiori Favoriti. Your photos are beautiful, I especially love the snow on the Forsythia. Thank you for hosting this party, I got some cards back just in time for your party. Yellow is such a happy color. I'm glad you chose these. The yellow flowers are beautiful Vee. Every now and then I will come up with a picture and think that it might make a nice card...and it is all because of you! I like the sun yellows, and especially the fourth photo. Love your sunny April photos and I hope you don't get anymore snow either! Such pretty pictures! I love that Spring colors are so cheerful. I love the sunny yellow you've chosen for your note cards. They would certainly brighten up a dull day beautifully. I hope I have this right. I first thought that the photos were to have been posted this past month. So I chose a set for that. Then I came over here and saw that yours were from other Aprils and I read the rules again. So I've chosen past photos but not all from April. Do I have this right or am I really confused? This is the first time I have seen your Note Card Party. Decided I should join in with the others! Such lovely photos you have, full of yellow. Mine turned out to be a Pink theme. I'm late, but I'm here! I love this idea for a Note Card party. Thank you for hosting and I love the lovely yellow in your cards! Beautiful! I'm thinking flowers for spring too! This is such a great party. Thanks for hosting! Loved these! Such a GOOD idea for a party! Your bright yellow, lacy daffodils and forsythia draped in snow...perfect note card photos for April. Thanks for the invitation to your party! Thank you Vee for hosting this party! I am a new blogger and have been trying to meet and make new friends. I have met some great,talented & sweet ladies this morning! I get so excited when i get a new comment lol! Oh and thank you for your nice comment and visit to my blog :))) Have a great day. How pretty!! I love your postcards..I really really must try to make a postcard and join in on all the fun. I SO LOVE that first frilly daffodil picture! Just gorgeous! This is my first time participating in this party and I think the theme is just so fun! Thanks so much for hosting this. I love those daffodils and I have some flower pics too, but since this is my first link up there's some other pics to introduce us ... hope that's OK! I can't wait to visit and be inspired by the photography of others. Whew! I made it! Vee,I look forward to this challenge! So I took time and worked on it early this month!! I think this is a smashing idea of yours to feature 4 photos/month. I missed last month but got to see lots of gorgeous shots. This is my first time to participate but hopefully, not my last. Thank you so much for thinking of a new way to have fun with our cameras. I loved all your pictures except that one with the 4 letter word...S-N-O-W!! I sure hope we're done with it. Thank you so much for this fun! Your postcards are all pretty, Vee. This looks like fun, but I've been away from the 'puter too much to get some photos together to participate. I'll shoot for next month. I'm late to the party...but didn't want to miss out completely! 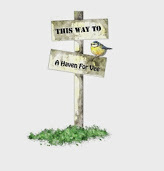 I love this idea (and love your happy daffodils!) but just couldn't seem to do it very well with wordpress. I am sorry....I'll play around and see if I can manage to do this for next week, but am not too hopeful....But I'm visiting and commenting on the blogs of people who are joining in! OH MY! These are all wonderful! But I'm a bit distressed! I'm about to miss the party! Will the link still be up tomorrow? Please let me know, Vee! This one 'snuck' up on me! Lovely note cards Vee and I hope that by next month i'll be back on my own computer. I'm having trouble doing everything tonight so will have to pass on linking up. i thank you for your visit and for bringing all these creative souls together. I'll be able to participate again once the wedding is over! Just trying to keep up with quick blog posts and I'm late for the next Mother Heart post. 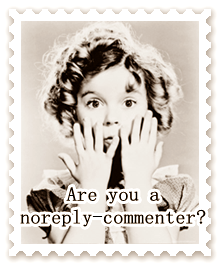 But I DO read if I don't take time to comment right now. I must say this is such a great idea! I stopped by the last 10 blogs and left comments after looking at their photos, even though I didn't take part. I loved it!! I am dropping by from Lynn at Happy as a Pig in Mud. No, Really, Who is He?